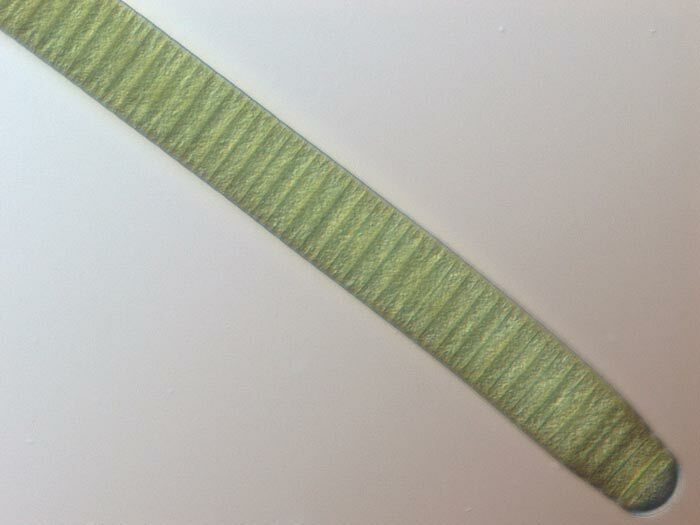 Algae can appear in various forms and colors. 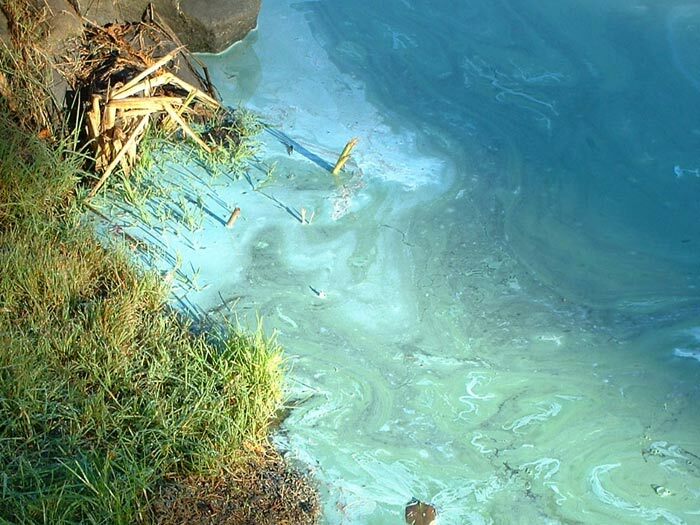 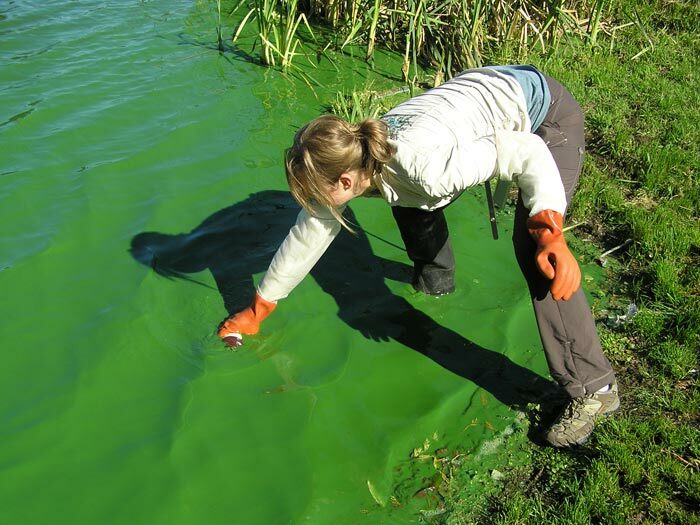 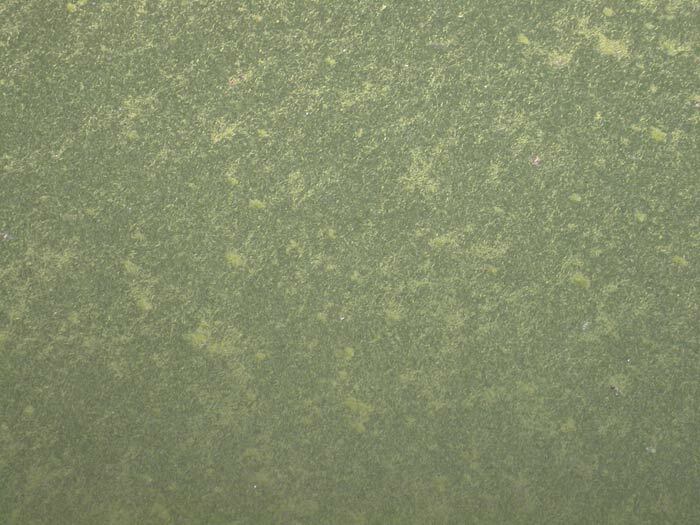 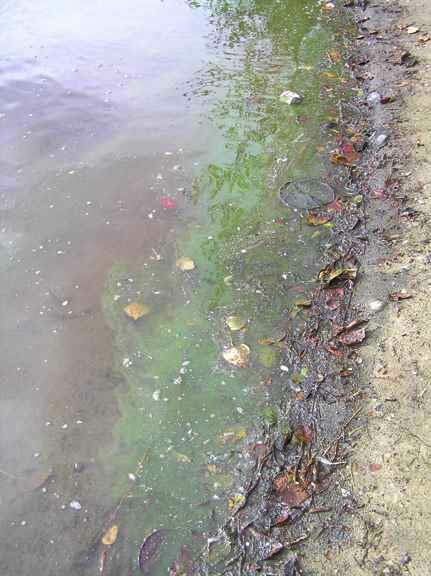 Cyanobacteria can look like a paint spill or like grass clippings, it can cause a thin film along the shoreline or cover a large area of the lake. 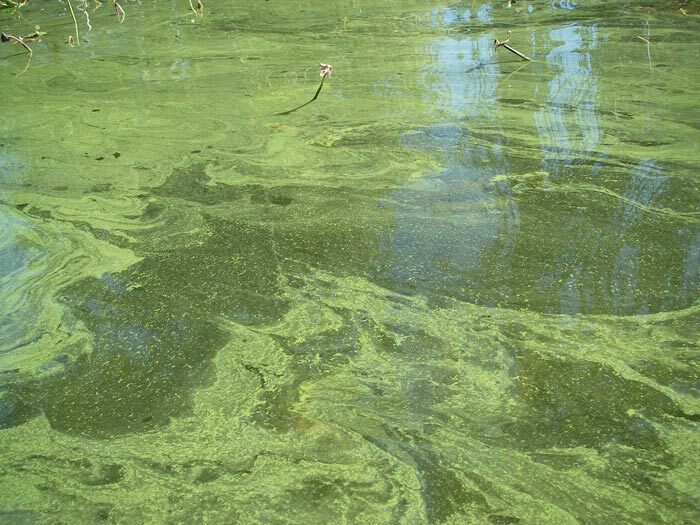 Green algae can form thick mats of filaments that can be picked up, these are not cyanobacteria and do not pose a toxic threat. 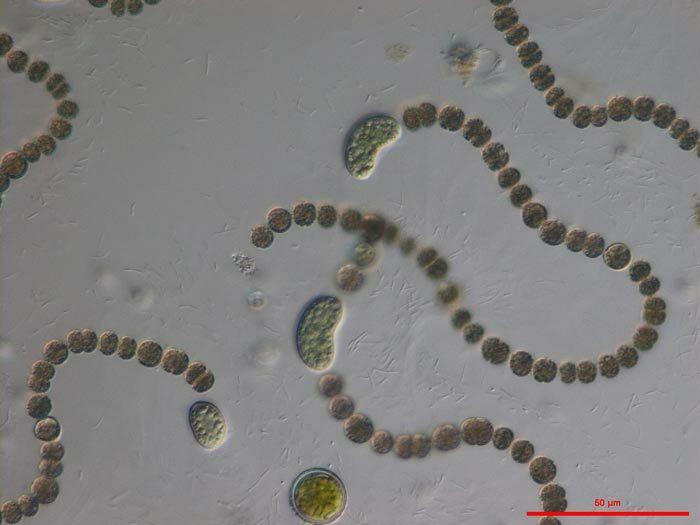 This photo gallery shows you some of the different looks of cyanobacteria blooms and "scums". 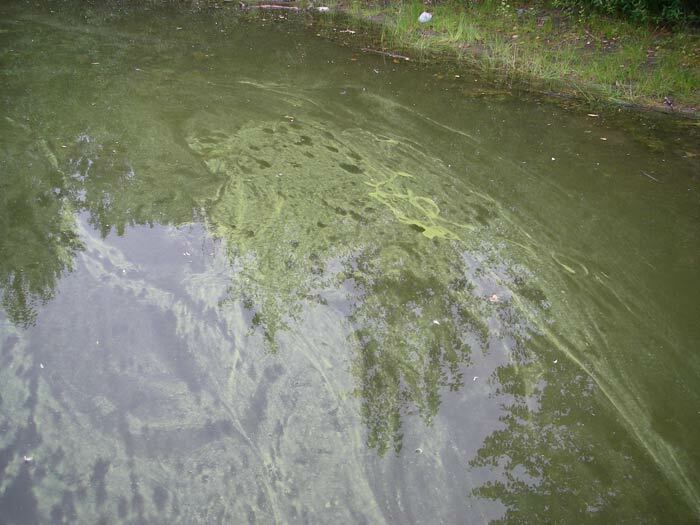 If you see something like this on your lake  have it tested. 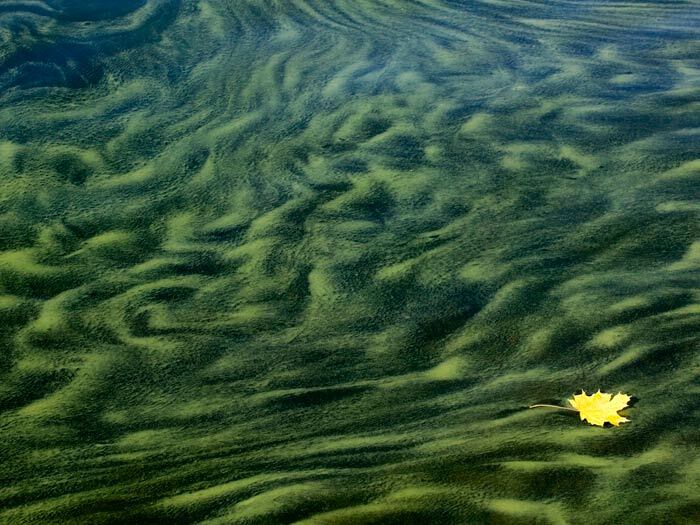 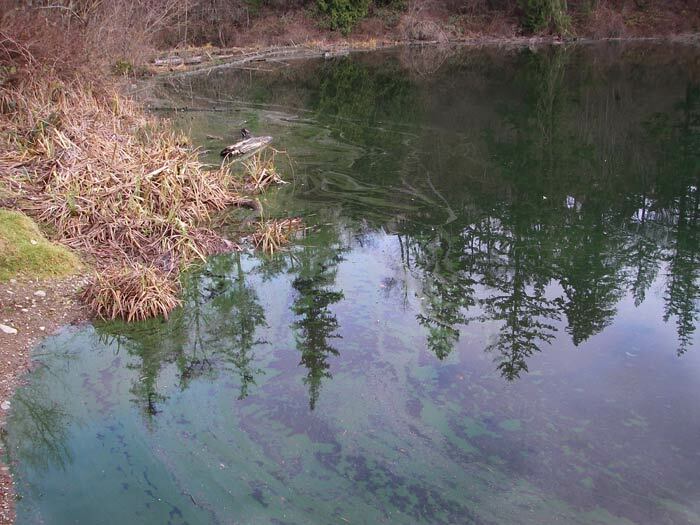 There is no way to tell if an algae bloom is toxic by looking at it. 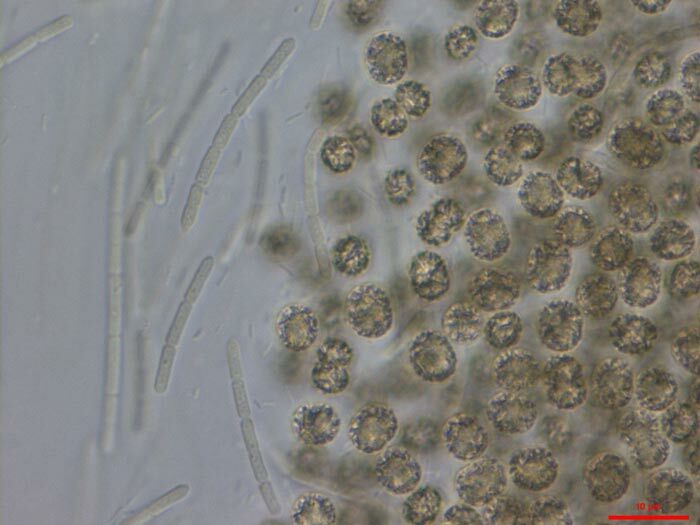 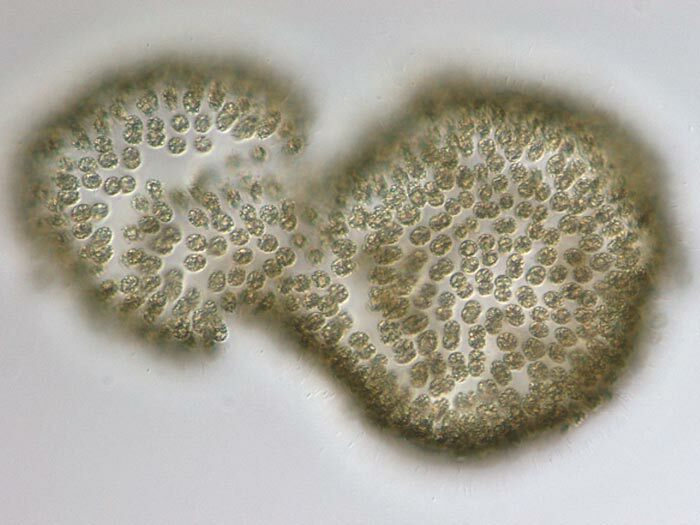 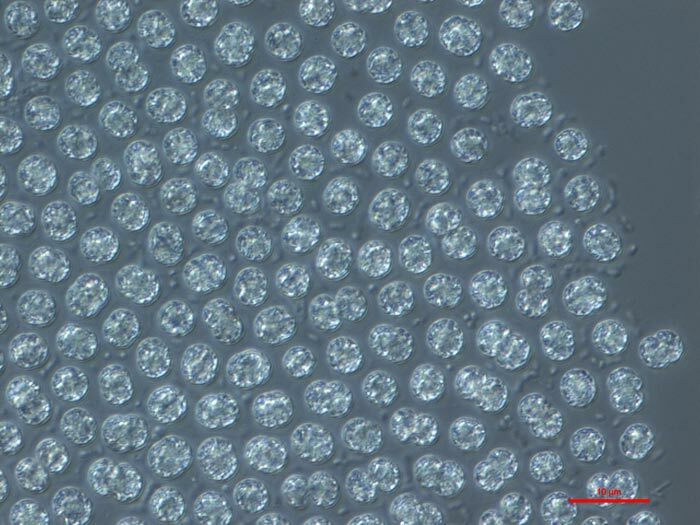 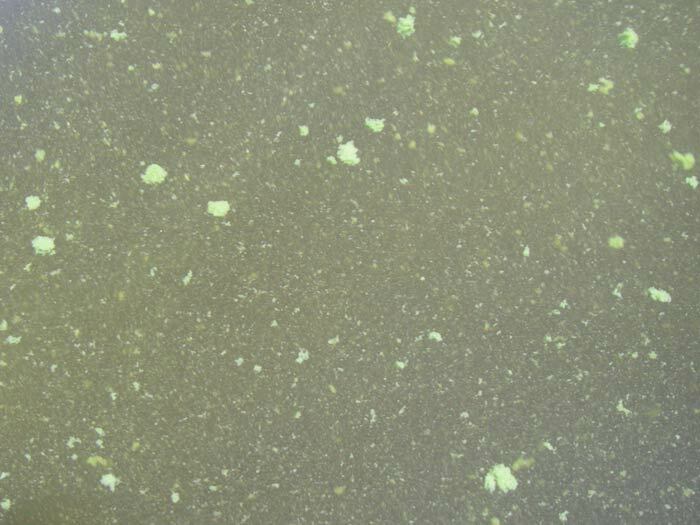 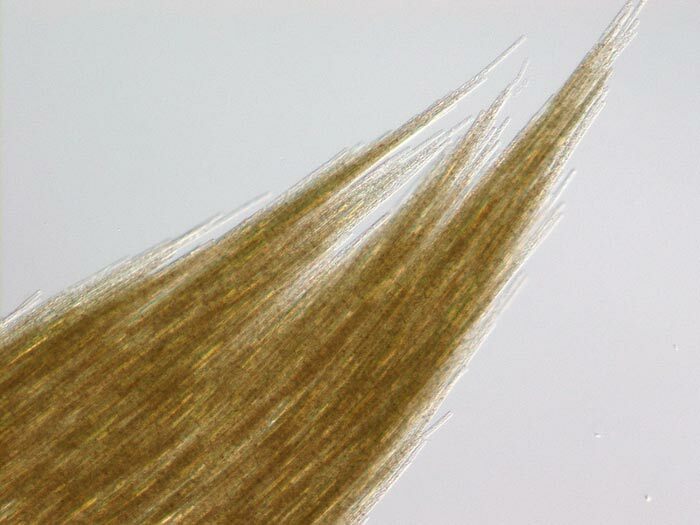 These microscope photos represent some of the common cyanobacteria species found in Washington State. 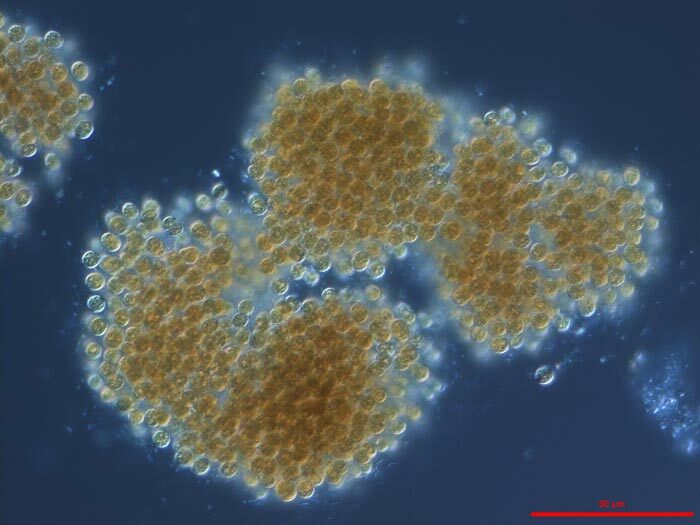 All photos are taken by Karl Bruun of Nostoca Algae Laboratory.